Will you be trying our sweet or dry white wine? 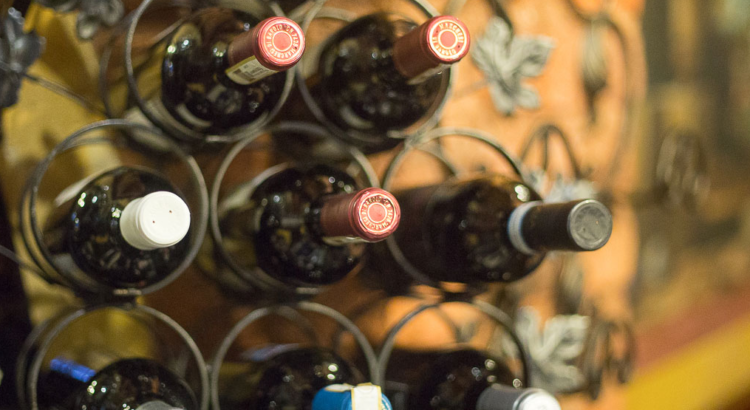 Whether it’s sweet, medium bodied or a dry white wine that takes your fancy, Italian wine has something to offer. We have a number of fantastic wine growing regions famed for their world class produce and the Villa Romana white wine menu reflects them all. Showcasing the best in Italian dry white wine, sweet white wine and sparkling whites (as well, of course, as the reds that we will tell you about in another article) our wine menu changes regularly, while always showcasing the firm favourites, and always provides you with a choice that pairs perfectly with whatever food options you select. Naturally, our excellent wait staff are fully trained in and knowledgeable about our wine list and can advise you on the best dry white wine or sweet white wine to accompany your meal. A beautiful Italian dry white wine this is one of the most popular choices on our menu at the moment, made from the world’s most popular grape. Dry and fruity with a light hint of tannin, Pinot Grigio is always a firm favourite with white wine drinkers and will always be found amongst the choices on our white wine menu. If this is your favourite, ask your server for the perfect food pairing to to with your selection. Complex, as well as delicate, fruity and slightly nutty in taste Orvieto Secco Rocca Delle Macie is pleasantly cool to drink and pairs well with risotto, as well as walnut dishes. Gavi is produced from 100% Cortese grapes, giving this elegant white wine a fresh and fragrant style with a delicate fruit flavour. Once described by Italian poet Gabriele D’Annunzio as ‘Italian sunshine in a bottle’ Orvieto has been adored throughout history. This medium bodied, luscious and rounded wine with a hint of hazelnut and honey is ideal as an aperitif.